One of only 507 built, the model being primarily built for the US market and was only in limited production for three years. This car having been supplied new to the UK, then spent much of its life in a museum in Pennsylvania, USA, before then spending 22 years on the Isle of Man. It was taken back to England by the present owner two years ago. 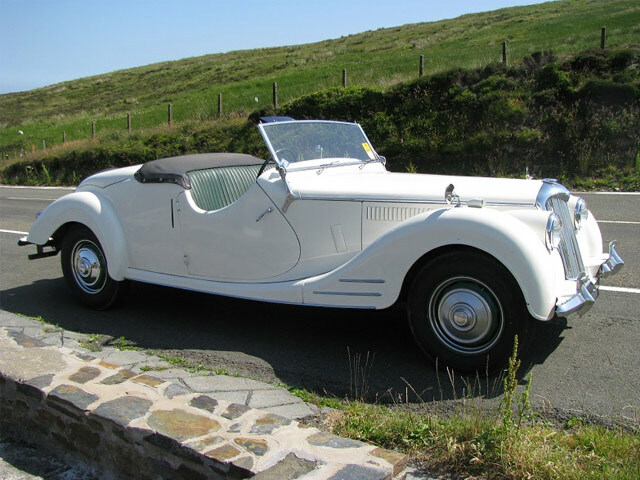 It has the sporting Riley 2.5 litre four cylinder engine coupled to a four speed gearbox with traditional floor change although many were fitted with column gear change. This is a much sought after Riley model due to its scarcity and long sleek lines. Owned by Mike Overfield-Collins, Devon, England.